LIFE AND MORTGAGES ARE NEVER SEPARATE. I'M HERE TO HELP YOU NAVIGATE BOTH. The journey to owning your piece of the earth can be scary and often feels clear as mud, but I bet you’re closer than you’d thought. Mortgages can be scary. I get it. I’ve been there—many times. My journey started with a (much beloved) little condo on Oxford Street in East Van. Marriage brought a new mortgage, growing commutes a third. Job changes and two children later, our fourth mortgage and first detached house in Delta. Now a fifth—my new office. I’ve been through all the twists and turns, and know just how to make it a smooth process for you. While it might appear otherwise, you don’t need to win the lottery to own property—even in Vancouver. I know it’s true, because that’s my life. My parents restored a Victorian house and filled it with pianos. You might think we were well off—we weren’t. By treating ownership as a marathon of small steps rather than giant leaps, we reached our eventual goal. Each mortgage is unique because every home is unique, as are the people buying it (that’s you). The good news is I know every option. I’ve been in the business a long time. I’m an expert at clearing away financial clutter—beating the bank at their game and letting you harness the full potential of your future mortgage. I find the mortgage that’s right for you, and won’t rest until we do. Like a great pair of jeans, mortgages don’t come in one-size-fits-all. I listen carefully to your short and long term goals, and then build your application to ensure you get a mortgage tailored for your life. And I track changes in the mortgage market by the minute so you don’t have to. Thanks for reaching out. I’ll respond in a jiff. As you likely know by now, I’ve written a lot about the mortgage process. And I am quite proud of my recently released book. Perhaps you’d like to take a peak? I’m Irene Strong, expert mortgage broker and author. Fiery. Determined. A big-city girl born in a small town, equally comfortable in high heels and running shoes. I’ve worked with leading organizations such as NBC Olympics Inc, TED Conferences, and Habitat for Humanity—and I apply that experience towards being the best mortgage broker possible. I also write what I know. My work helps first timers understand just how mortgages can be used to advantage. I also write about life, because the two are never separate. My articles can be found in places like The Globe and Mail. I can be seen on stages, including panels on Women Leading in the Mortgage Industry. My book, Own Your Piece of the Earth, is available at Amazon and other online book sellers. As both a mortgage broker and author, I want to help you prepare for your dream—you’re closer to that piece of the earth than you’d thought. I wasn’t born with a golden spoon in my mouth or a giant trust fund. All my investments have been done on average household incomes. Not to say those purchases were easy or that the journey was always clear, but they were ultimately worth it. That’s why I decided to write about my experiences and the lessons I’ve learned. I want to spare you the hassle and help you along the road to homeownership. We’ve all had that moment of sitting in a specialist’s office, knowing they’re speaking the same language while not understanding a single word. It’s frustrating, and it’s not productive. So let’s kick that sensation to the curb. Yes, the mortgage industry like so many others, is filled with abbreviations and acronyms. I break down all that specialist “lingo.” By the end of reading this book, you’ll be talking mortgage like it’s your mother tongue. Mortgages are beastly, dense documents—it’s true. But despite appearances, they’re not set in stone. There’s more than one way to reach your property goals. You might want to jump straight into that tiny, lakeside house and life there forever. Or you might long for a rental property portfolio. Whatever your dream, my book will show you why putting a toe in property waters is a darn good idea. Life has a way of occasionally giving everyone lemons. So knowing how to make lemonade is crucial. Shortly after purchasing my first property, a large pipe sprung a leak, wreaking havoc on my bathroom and my neighbour’s unit. After a healthy glass of wine, I realized this mishap was an opportunity to upgrade. By making smart changes, I improved my living space and increased my home’s value. With the point-by-point tips in this book, courtesy of my personal disaster, you can do the same. If you’ve cast car ownership aside in favour of car-sharing or transit, then congratulations! You’re already on the path to, well, saving for something greater. Now is the time to put those savings towards that studio apartment with a view, growing your family or becoming a property mogul. 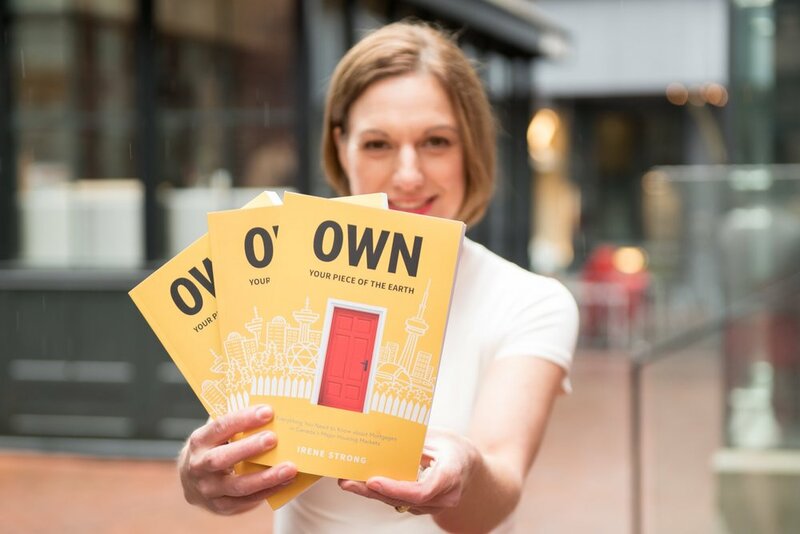 This book shows you how property ownership gets you from A to B in the road of life. Before buying my first property I had no idea how many options my modest condo would create down the road. What an eye-opening experience! (Trust me, you’ll enjoy living vicariously through these ups and downs rather than enduring them yourself!) Mortgages might be listed as liabilities, but if you’re looking to stretch your financial wings a mortgage can offer the perfect updraft. A smart mortgage can open doors to all kinds of other investments—far beyond simply owning your home. I know for most people, it’s a stretch to want to read a book about mortgages. But this is different. It only takes two chapters to see this book is the life (and mortgage) resource you’ve been looking for.